Maxi Lopez had a late goal controversially ruled out as Torino followed up their derby victory with a well-earned point at Palermo. Giampiero Ventura made six changes from the side that started against Juventus, as Cesare Bovo, Gaston Silva, Cristian Molinaro, Alexander Farnerud, Giuseppe Vives and Josef Martinez all came into the side. The Granata made a poor start and were behind after only ten minutes when Roberto Vitiello stabbed home from close range following a corner. However, Palermo held the lead only temporarily as Bruno Peres equalised for Toro two minutes later with a fine finish from ten yards out. Former Toro stopper Stefano Sorrentino had to turn a Josef Martinez half volley over the bar as Toro began to get into the game. But on twenty-five minutes, the home side re-gained the lead when Luca Rigoni was somehow left unmarked in the area to volley home. It could have been worse for Torino, as just before half time, Siniša Andelkovic's bullet header rattled off the bar. Omar El Kaddouri and Maxi Lopez both came off the bench as Toro looked for an equaliser, and the two combined instantly as the former's floating cross was turned in by the Argentine striker. Paulo Dybala somehow missed an excellent chance for the Rosanero but the highly rated striker turned his effort wide of the post. In the dying minutes, Toro thought they had found a winning goal as once again El Kaddouri found Maxi Lopez, who headed home, but the former Catania striker was harshly penalised for a foul on the defender. This was a decent result by a Granata side still recovering from their exploits in the derby, and are now only two points away from the final Europa League place. 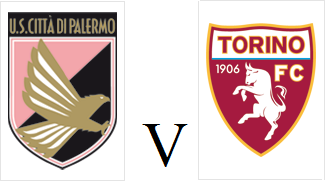 Torino will look to build on their Derby Della Mole heroics when they travel to Palermo on Wednesday evening. That victory over Juventus puts the Granata just two points away from Fiorentina in the final Europa League spot, and hopes of a second successive season of European football are still alive. Emilano Moretti and Alessandro Gazzi will both miss the trip due to suspension, whilst Josef Martinez could replace Maxi Lopez after an impressive cameo in the derby. Palermo have won two of their last three fixtures, but suffered a disappointing 1-0 defeat against Parma last time out. After twenty years of misery, Torino finally got the better of their city rivals as goals from Matteo Darmian and Fabio Quagliarella gave them a 2-1 victory against Juventus. Giampiero Ventura made no surprise selections ahead of the derby, with Nikola Maksimovic, Marco Benassi and Maxi Lopez all given starts. Alessandro Matri had the first chance of the game for the visitors, but the striker blazed over the bar from Andrea Pirlo's exquisite pass. With ten minutes until half time, it was Pirlo - Toro's tormenter from the reverse fixture - who gave Juventus the lead thanks to a sublime free kick from twenty yards out. However, on the stroke of half time, Fabio Quagliarella beat Leonardo Bonucci to a ball in the channel and kept his composure to find Matteo Darmian - who despite a heavy first touch - finished past Gianluigi Buffon to equalise. Andrea Pirlo almost scored another free kick in the early stages of the first half, but the former AC Milan man saw his effort hit the post with Daniele Padelli stranded. And Toro took the lead on the hour mark when Omar El Kaddouri and Matteo Darmian combined, with the former providing a low cross for former Juve man Fabio Quagliarella to convert. The Granata rode their luck in the closing stages, with the bianconeri twice hitting the woodwork and when Daniele Padelli somehow saved Stefano Sturaro's close range header, it seemed as though destiny was on Toro's side. This was to be Torino's night, as the Granata held on to claim a famous victory and one that will not be forgotten for a long long time.....just don't make us wait twenty years for another derby victory. Twenty years after their last victory against city rivals Juventus go into tomorrow's Derby Della Mole against the bianconeri as clear underdogs. But this is arguably the best Granata team within those twenty years, undoubtedly so in the decade that I have been a supporter. Whilst this Toro squad does not have the individual talents of an Alessio Cerci or a Ciro Immobile as they did last season, they have the team spirit and grinta which has Toro fans dreaming of finally beating their hated rivals. They came close in the reverse fixture at the Juventus Stadium back in November, after Bruno Peres' sensational equaliser, it was Torino who had the better chances to claim a historic victory. However, in the third minute of injury time, Andrea Pirlo struck from long range to break Granata hearts. Despite that setback, it has been an excellent season to be a Toro fan. League victories at the San Siro and at home to Napoli combined with European successes in Copenhagen, Bilbao and at home to Zenit will live long in the memories of Torino supporters. But a derby victory would top all of those successes. The home side come into the game in reasonable form, unbeaten in their last five matches and they can welcome back the tricky Omar El Kaddouri to the squad. Juve have had a busy week after making it through to the semi finals of the Champions League after a 1-0 aggregate victory over Monaco on Wednesday. Turin born midfielder Claudio Marchisio will miss the game through suspension, whilst Angelo Ogbonna who has yet to feature against his former side, should once again miss out. It was a tale of two penalties on Sunday afternoon as Torino dropped valuable points in the race for a Europa League place. With perhaps one eye on the derby next week, Giampiero Ventura left Bruno Peres, Alessandro Gazzi and Maxi Lopez on the bench, with Cristian Molinaro, Giuseppe Vives and Josef Martinez preferred. Marco Benassi capitalised on a slip from Saphir Taider, but his long range effort was diverted wide by Andrea Consigli. Josef Martinez was looking dangerous upfront, and the Venezuelan first effort hit the side netting, and then moments later his curling strike also forced Consigli into action. The former Young Boys striker was then guilty of missing Toro's best chance of the half, as he blazed over the bar despite striker partner Fabio Quagliarella being better placed. On the stroke of half time, the hosts were controversially awarded a penalty when Antonio Floro Flores conned the refereed by running into Kamil Glik, and theatrically diving to the ground. Domenico Berardi converted the spot kick to give Sassuolo the lead. On the hour mark, Toro were awarded a penalty of their own, and coincidentally it was the same two players involved, with Floro Flores catching Glik with a wild attempted clearance. Fabio Quagliarella stepped up, and sent Consigli the wrong way to equalise. Minutes later, substitute Maxi Lopez was through on goal after an exquisite pass from Quagliarella, but Consigli denied the Argentine striker. In the dying seconds of the match, Andrea Consigli saved his best save til last as he turned a Fabio Quagliarella snap shot round the post. Given their dominance, Toro will look at this as two points lost in their quest for the Europa League, but will have an opportunity to make amends next week - in the derby against Champions elect Juventus. Torino will look to capitalise on Sampdoria dropping points, when they travel to Reggio Emilia on Sunday. The Granata can reduce the gap to 5th placed Samp to four points if they manage to win their seventh away game of the season against Sassuolo. 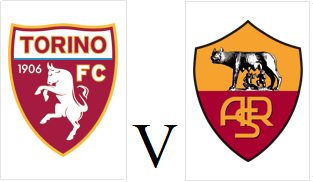 Toro will be without the suspended Omar El Kaddouri, so Alexander Farnerud is likely to deputise, and after scoring against Roma last weekend, Maxi Lopez is likely to start up front. Sassuolo are twelve points above the bottom three, and should have already done enough to secure their Serie A status for another season. 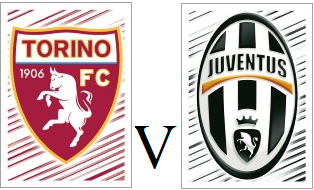 The neroverdi have won their last two home matches, but have lost six of their last eight games overall. Torino continued their fine recent form as they earnt a 1-1 draw against Champions League chasing Roma on Sunday afternoon. 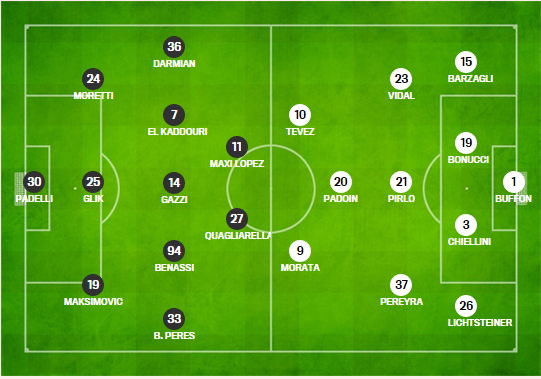 As expected, Matteo Darmian came back into the starting eleven whilst perhaps surprisingly, Josef Martinez was preferred to Maxi Lopez up front. Juan Iturbe had the first two opportunities from distance in the early stages, but the Argentine winger was unable to find a breakthrough. Roma were awarded a penalty on the hour mark when Daniele De Rossi was seemingly upended by Emilano Moretti. Alessandro Florenzi stepped up to convert the penalty, as the Giallorossi took the lead. However, that lead only last for seven minutes, as substitute Maxi Lopez tapped home after excellent work from Giuseppe Vives. Roma had the better chances to win the game, but Daniele Padelli produced an excellet save to deny Alessandro Florenzi his second goal of the game. Toro are now six points away from 6th placed Sampdoria, but eight games remaining, the Granata still have time to overturn that deficit. 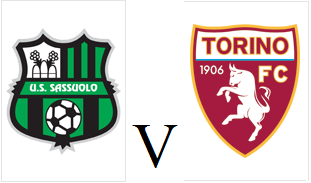 If Torino manage to record a third consecutive victory on Sunday afternoon than Toro fans may start to dream of another European campaign next season. After victories against Parma and Atalanta, the Granata are 5 points behind 6th placed Napoli in the chase for Europa League places. Matteo Darmian should return to the starting eleven for Toro, but Migjen Basha is suspended after his late red card against Atalanta last weekend. Roma's title challenge has fallen apart in recent weeks, and the Giallorossi still have work to do to ensure Champions League qualification. City rivals Lazio, who were the last team to beat Torino, are now only one point behind Rudi Garcia's men. 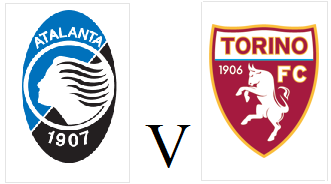 Torino continued their quest for a place in Europe with an important 2-1 victory over Atalanta on Saturday afternoon. Matteo Darmian, who featured twice for Italy in the past week, started on the bench - whilst Maxi Lopez and Fabio Quagliarella cemented their place as Ventura's first choice front two. Toro took the lead mid-way through the first half when Fabio Quagliarella smashed a sensational free kick past Marco Sportiello in the Atalanta goal. That was the Polish defender's seventh goal this season, and the Torino captain showed excellent technique to score it. The Granata had opportunities to extend their lead in the second half, but both Giuseppe Vives and Omar El Kaddouri had efforts saved by Sportiello. With fifteen minutes remaining, Atalanta reduced the deficit in incredible fashion as Maxi Moralez's free kick found an unmarked Mauricio Pinilla, and the Chilean striker scored with a bicycle kick. In injury time, an off the ball incident resulted in both Pinilla and Toro substitute Migjen Basha being red carded, although the Albanian international will feel his punishment was rather harsh. Toro held on to record a second consecutive victory, and the Granata are now just five points away from 6th placed Napoli.